As one of the most notable uniform suppliers on the Internet, we often get queried, “What are some tips to selecting an employee uniform supplier?” There’s a lot of confusion on the Internet, and of course, there is literally “too much information” online, so it’s not surprising the folks in industries as diverse as restaurants, hospitals, or hospitality in general are confused. Who should they trust? What are the qualifications that one should look for in a uniform supply company? One of our unique selling propositions is the idea of an “idea consultant.” We want you to think of a uniform as not just a piece of fabric with a logo, but as a “brand ambassador” for your company. People may not consciously notice your employees’ uniforms, but you can bet your bottom dollar that they subconsciously notice them. So, you want good-looking employee uniforms that project a confident brand image. You want them at an affordable price. You want to buy them online, and you want some assistance as to how to select the best employee uniforms online. Those “needs” of yours are “clues” as to how you should go about selecting a uniform supplier. You might even get perks with certain uniform suppliers, like access to their industrial dryers and washing machines. Tip #1. Buy from someone you can trust. Trust is an ethereal concept, but there are ways to figure out if you can trust a uniform supplier. First and foremost, do they have real customer support? When you send an email or call them up on the telephone, does a “real person” answer? If so, that’s a good indication that there is a “real company” behind the website, and not just a front. Many websites in the uniform business are nothing more than multilevel marketing – they just organize the uniforms of others into mumbo-jumbo, and resell them. You’re not dealing with the supplier at all, but a reseller or someone many steps removed in the supply chain. Buy from someone you can trust. Tip #2. Buy from someone who has an inventory. Yes, we know that most uniforms are not manufactured in the USA anymore. We get that. That’s part of the global supply chain. But, that said, a legitimate uniform supplier will have an inventory. We will send out samples, for example, which tells you that we have very good relationships with the actual suppliers across the globe. If you can’t get a sample, or if you don’t see real inventory, steer clear of that supplier. Buy from someone who has an inventory! Tip #3. Get samples. If you are a business of more than just a few employees, you are looking to buy more than just a few employees and you want to try out some samples. A reasonable uniform supplier will provide samples to legitimate inquiries. As wonderful as the Internet is, and as wonderful as it is to buy employee uniforms online, you can’t really “know” a uniform until you see it and touch it “in person.” So, get samples. Tip #4. Look for a long term relationship. You’re not going on a casual date when you’re deciding on a uniform supply company! You want a long-term relationship. Why? 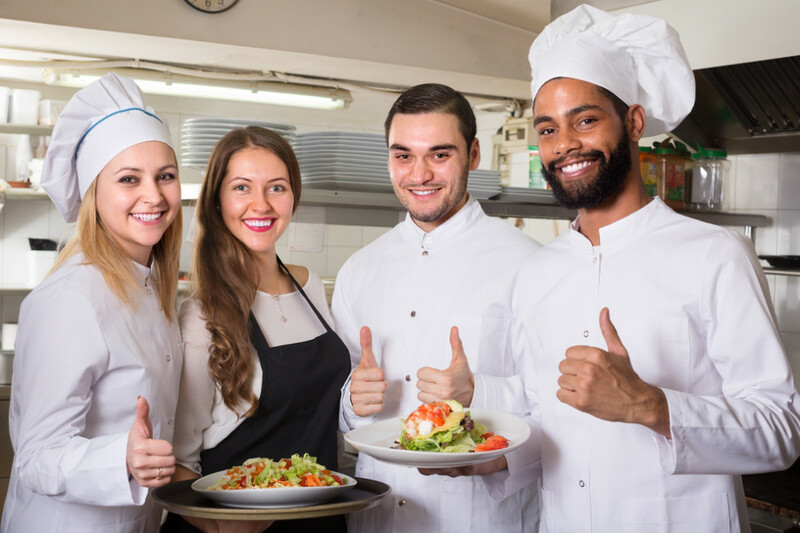 Well, undoubtedly your employees will change over time, and you’ll need a steady supplier who can provide you with uniforms again and again, while maintaining a look and feel consistency. You don’t necessarily want to go with the cheapest employee uniform supplier. He might be “out of business” when it’s time to reorder and suddenly your uniforms don’t match. That’s not good. So look for a reputable supplier that will stay in business. Tip #5. Work with ideas. We’re all materialists in today’s world. We think that what’s “real” is what we can see or touch. But a lot of the ambiance of a great restaurant, for example, isn’t in the technical aspects of the food. It’s in the presentation – and the uniforms of the employees are part of that ambiance. You want a uniform supplier that can work with ideas; ideas – not fabric – are the heart of an incredible employee uniform. So choose a supplier that can work with ideas. We hope that these five tips help you to think about how to go about selecting the best uniform supplier for your business. Whether you’re a casino or a restaurant, a hotel or a hospital, we hope you choose us as your trusted uniform supplier. If not, we hope you’ve gotten a little something about of this blog post, and we wish you the best uniforms money can buy!